I'm loath to admit I have never owned a bottle of Talisker until about two weeks ago. I've read mixed reviews, and I was worried about dropping $100 CAD on a bottle. Luckily, a good friend visited La belle province (i.e. Québec) a few weeks ago and got me a bottle for $67 CAD. This was a much safer gamble. I often wonder if people are critical of Diageo-owned distilleries simply because many equate "big corporation" with "bad". I don't really want to get into politics here, mostly because I'm still new to the inner workings of the whisky world and I don't feel it's my place. Nose (undiluted): brine, smoke, bonfire by the sea, dried leaves (tobacco? ), mineral water, damp peat, pepper, this is one of the most inviting and unique noses I've encountered. I could spend hours simply nosing this whisky. Finish: medium-long, warming, peppery (though more like black pepper on the finish), more subtle ginger, subtle hints of ripe pear, lingering. When I drink this Talisker, I don't want it to end. Adding a bit of still water (1/2 teaspoon or approx. 2.5 ml) brings out much more smoke on the nose and accentuates the seaweed and dried tobacco aromas. This is sublime. The white pepper is really thrust forward on the palate, developing to a nice, dry, vegetal peat with that ginger still hanging around, albeit further back. This bottle of Talisker is great with or without water. 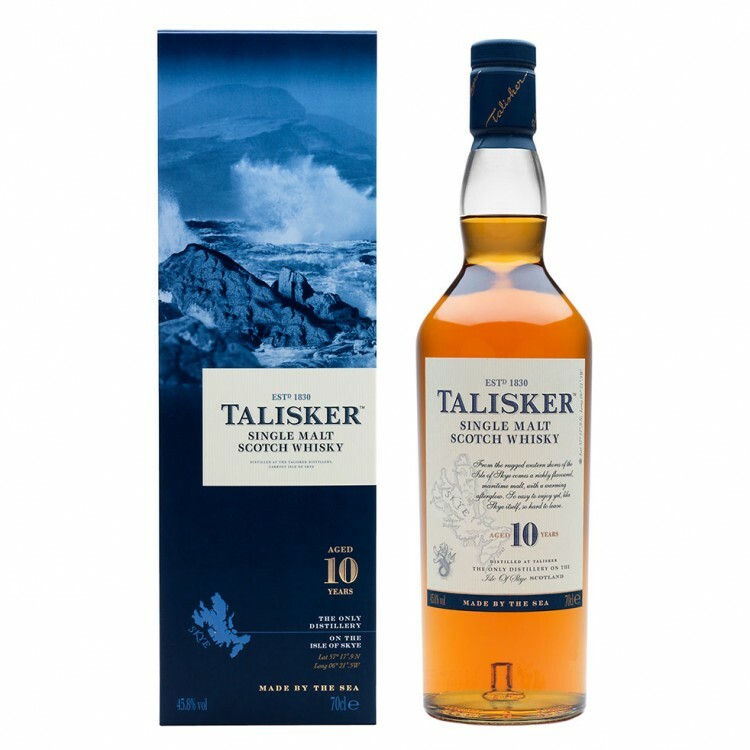 Talisker 10 Year Old Is it just me .. or do you Sea Salt ? Very nicely done review. But do you really mean that your blog is more important to you than Connosr?!!?!? How could that be? @Victor I don't bother with the history or any kind of exegesis here. My blog's 3 regular readers are not as well-versed in whisky lore as the esteemed members of Connosr. Actually, I gotta say that Diageo deserves credit for nurturing—or at least acquiring—some of Scotland's great distilleries: Lagavulin, Talisker, Mortlach, Clynelish all come to mind. And despite the abundance of unwanted new NAS things being marketed from some of them (especially Talisker—yikes), they deserve credit for maintaining age statements for most (maybe all?) of their flagship bottlings. Nick Morgan notwithstanding. Many of them are even bottled at healthy strengths (Talisker, Clynelish). The main community complaint that I'm willing to sign onto is the across-the-board chill-filtering and fake-tanning. Boooooooo. @Ol_Jas Fair enough, but (just to stir the pot) Dr Horst Luening of whisky.com did a study of blind tasting by experts and concluded that the overwhelming majority could not identify chill-filtered/non-chill filtered whiskies with any degree of statistical significance. I'm not pro or anti chill-filtering or caramel colouring. I find them both pointless, but they don't affect taste so I'm not about to get riled up about it. I'd like to see more bottlings in the 45%-50% range, but that's just because it's my personal "ideal" drinking strength. •Chill-filtering is pointless at best and harmful at worst. Why do it? Dumb. Not a huge deal to me, but dumb nonetheless. •Fake coloring, even if you can't taste it or smell it, is deceptive and gross. I hate it. I hate knowing that that garbage is in my glass. I hate that it's done to deceive the buyer into thinking his whisky is going to be older, richer, and more flavorful. And I hate that the fake-tanners of the world hide behind the laughable excuse of "consistency" to justify doing it. It should be banned. @Ol_Jas Tell us how you really feel about e150a and chill-filtration... .
@Nozinan LOL !!! I did a blog post entitled "You Can't Handle the Truth" where I outlined my interpretations of the e150, chill-filtration and NAS arguments along with my personal point of view. But I'll respect the "family standard" here. @OdysseusUnbound Great review. You are more enthusiastic about it than me but I found that the latest batches have been really good. I have a bottle about a year old and it is great for the price. It has way more sherry influence than from a few years back but that was when they had a few dull batches. 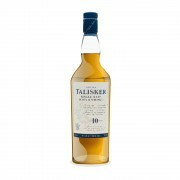 I don't have enough experience to say if I was unlucky a few years ago of if Talisker has a real problem of consistency. I would gladly receive opinions of other about that.